I love to sleep. I love to dream and daydream. Sometimes hooping makes me forgo on sleep. Now, my dreams are weird. Very weird. I've had dreams where Michael Jackson's skin was inside out and he was the boogy man. I dream about work a lot. I dreamed once that these men in the home were like space cowboys and was fighting save my life. Since four months ago, I've been having hoopy dreams. The only reason I am hooping now because I dreamed about hooping. You see, the day I was about to give up on the entire idea of waist hooping, I went to sleep. That night I dreamed I was waist hooping except I was spinning with the current of the hoop. The next day, I tried it. It worked. Instead of 3 seconds, I was able to hoop for 5 seconds. There have been many hooping dreams since that night. Most of them are just my average hooping dreams. There are a few things that are plaguing my hooping: hip hooping NOT with my flammer hoop (I can do it with my flammer but no other hoop that's smaller), going from my waist to knee hooping and back again, and walking. You see, I'm a side to side hooper and hooping while walking is hard. I can walk to the side but that isn't very conducive to much. Some days I can walk straight and even march very well. Most days, no. I do a shuffle shuffle if I walk forward. I don't like that shuffle shuffle and it feels uncomfortable. I want to really WALK. Feet lifting off the ground and more. 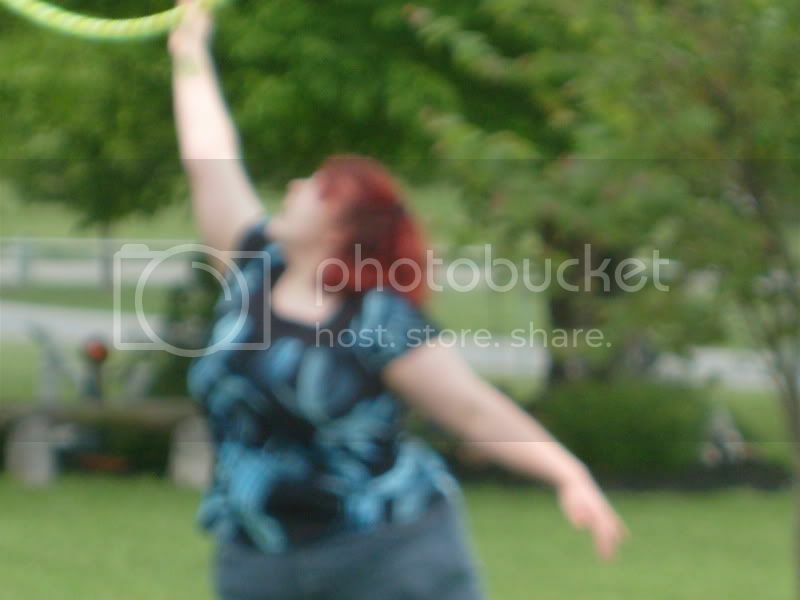 The other night I had a dream that I was walking with my hoop. I was really walking. It was great! It felt great. This gives me great hope. My other hoop dreams came true. This one will, too. Along with the dream that I had a backyard to hoop in. Wow. I totally get this. I'm at the most basic level right now, but I had a dream where I was hooping and the hoop was very heavy, pulling me back and forth and I could speed it up, slow it down, move it up and down my body, and I just remember thinking I didn't want to stop!!! So far that hasn't happened in real life, but it's almost like I know how its supposed to feel... Keep on dreaming!! !